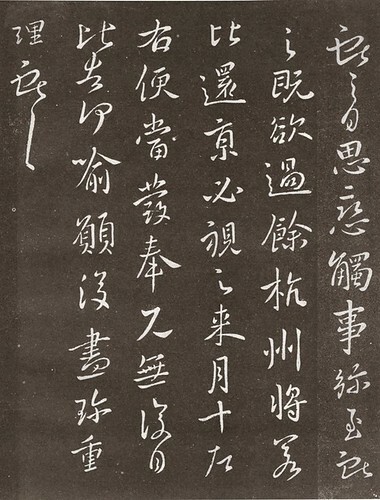 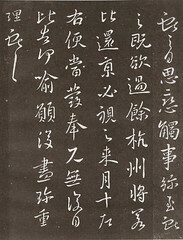 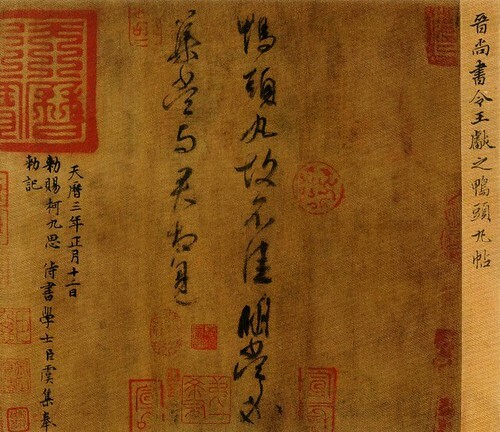 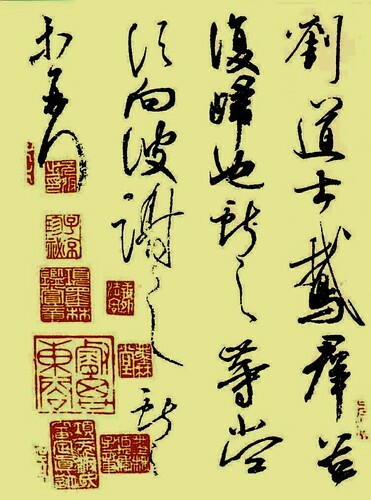 The seventh and youngest son of the famed Wang Xizhi (王羲之), Wang Xianzhi (王獻之) inherited his father's talent for the art, although his siblings were all notable calligraphers. 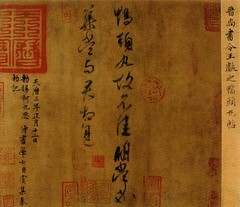 His style is more fluid than his father's. 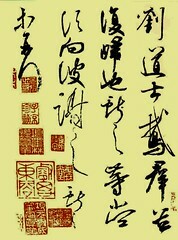 Among his innovations is the one-stroke cursive script, which blends all characters in the writing in a single stroke.